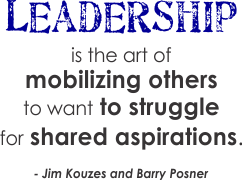 From an analysis of the personal-best cases, Kouzes and Posner developed a model of leadership that consists of what they call the Five Practices of Exemplary Leadership®. 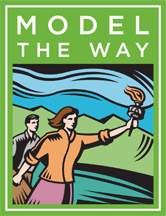 Model the Way Leaders establish principles concerning the way people (constituents, peers,colleagues, and customers alike) should be treated and the way goals should be pursued. They create standards of excellence and then set an example for others to follow. Because the prospect of complex change can overwhelm people and stifle action, they set interim goals so that people can achieve small wins as they work toward larger objectives. They unravel bureaucracy when it impedes action; they put up signposts when people are unsure of where to go or how to get there; and they create opportunities for victory. 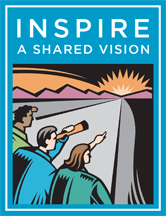 Inspire a Shared Vision Leaders passionately believe that they can make a difference. They envision the future, creating an ideal and unique image of what the organization can become. Through their magnetism and quiet persuasion, leaders enlist others in their dreams. They breathe life into their visions and get people to see exciting possibilities for the future. 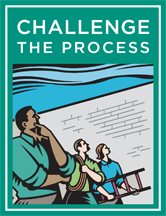 Challenge the Process Leaders search for opportunities to change the status quo. They look for innovative ways to improve the organization. In doing so, they experiment and take risks. And because leaders know that risk taking involves mistakes and failures, they accept the inevitable disappointments as learning opportunities. 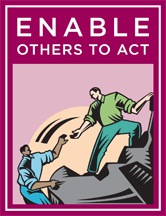 Enable Others to Act Leaders foster collaboration and build spirited teams. They actively involve others. Leaders understand that mutual respect is what sustains extraordinary efforts; they strive to create an atmosphere of trust and human dignity. They strengthen others, making each person feel capable and powerful. 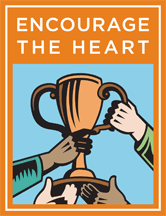 Encourage the Heart Accomplishing extraordinary things in organizations is hard work. To keep hope and determination alive, leaders recognize contributions that individuals make. In every winning team, the members need to share in the rewards of their efforts, so leaders celebrate accomplishments. They make people feel like heroes.